Main card page: "Performapal Helpprincess"
Cannot be Normal Summoned/Set. Must first be Special Summoned by its own effect. 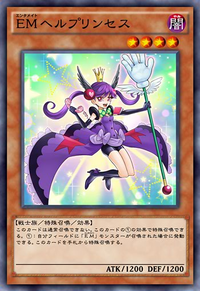 If a "Performapal" monster is Normal Summoned to your side of the field: You can Special Summon this card from your hand. This page was last edited on 4 October 2018, at 18:49.